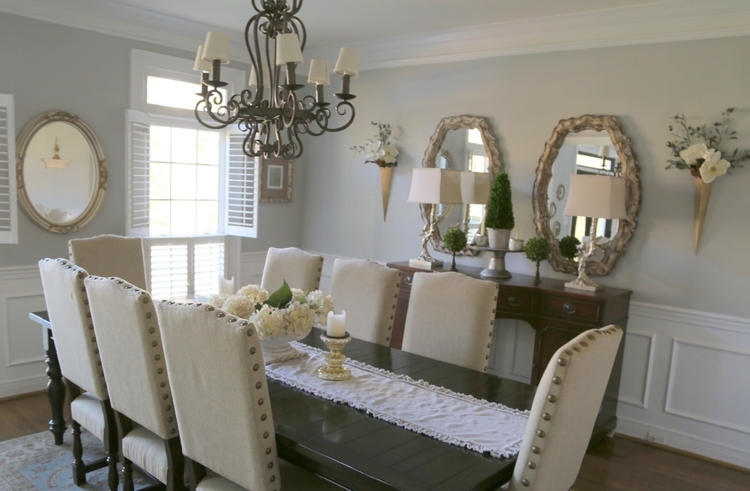 First impressions in home staging – you may not realize just HOW important they truly are. 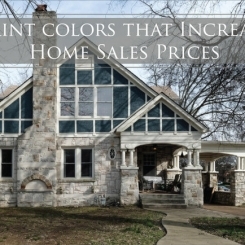 How much do you really know about the impact of the first impression on homebuyer decision-making? First of all, it’s important to understand that the “decision” to like or dislike a visual stimulus is not truly a decision. It is a purely visceral response that is felt rather than thought. This first impression judgment is now believed to occur within 50 milliseconds. 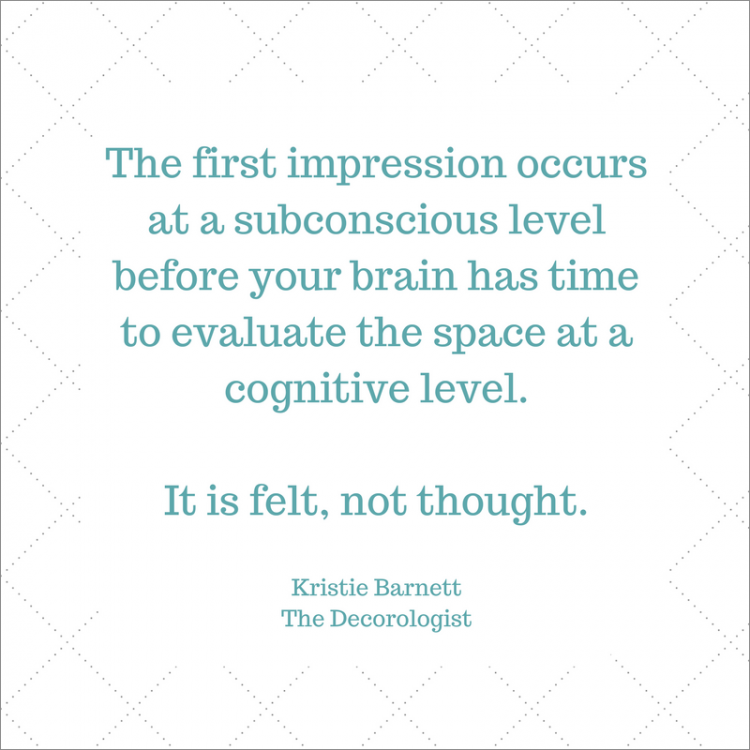 Immediate judgment occurs at a subconscious level before the brain has had time to evaluate the stimulus at a cognitive level! 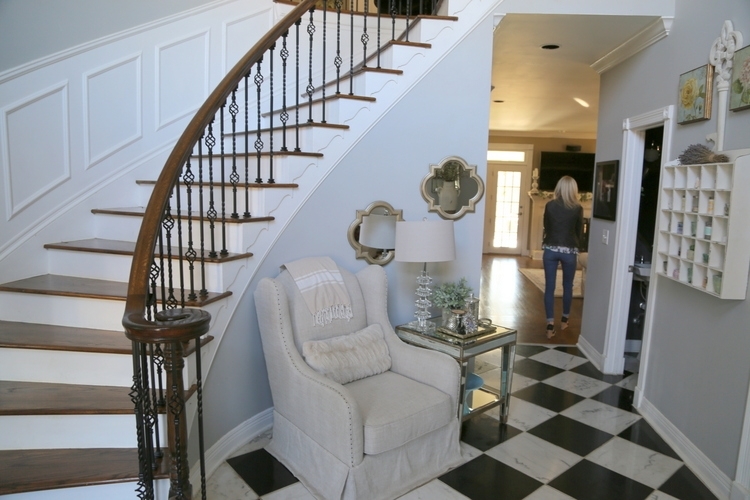 So no matter what your must-have checklist says when you are searching for a new home, you are likely to be swayed one way or the other by the first impression effect. It’s a lot like “love at first sight,” and it can be tough to shake! 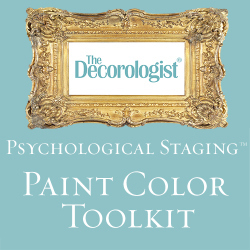 I train home stagers how to positively impact buyer first impression with Psychological Staging™. My recent EPS™ grads were given this challenge: transform this entry into an irresistible buyer first impression. One of the things I emphasize in my training is how to identify and put the focus on architectural details rather than the decor. 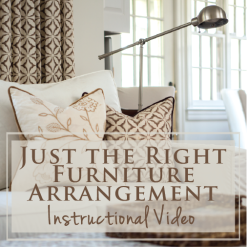 You’re selling the house, not the furnishings, right? 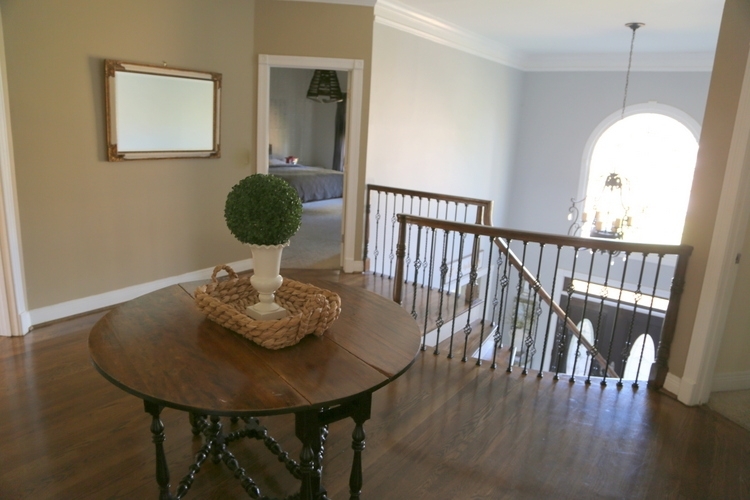 You have to know what to edit, as well as what decor will actually accentuate and draw attention to the architecture. 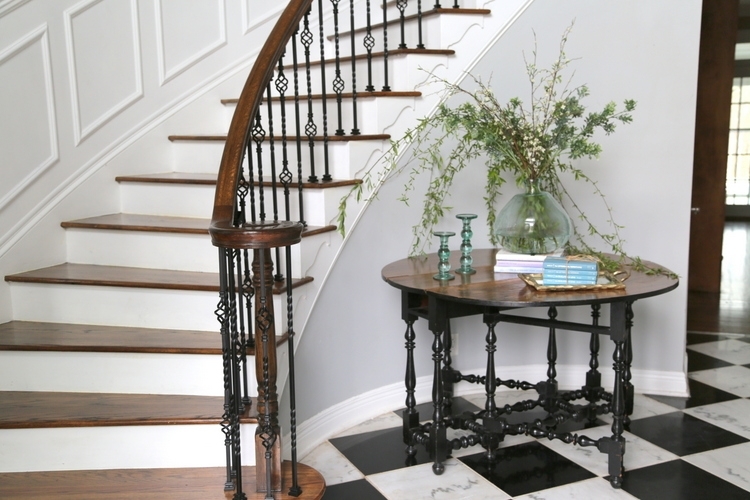 The table itself will be a better fit for the rounded wall in front of the staircase, but the right accessorizing is also needed to make a great first impression in home staging. And sometimes, you have to be resourceful. One of our grads braved the cold and snowy weather to gather some willow branches from the homeowner’s yard. 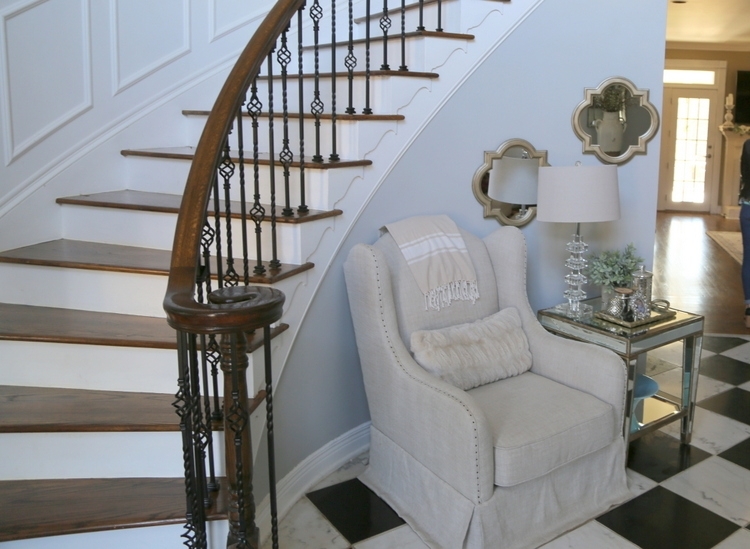 She and a few of our other EPS™ stagers set out to create a simple and elegant display that would appeal to any perspective buyer who chose to tour this home. 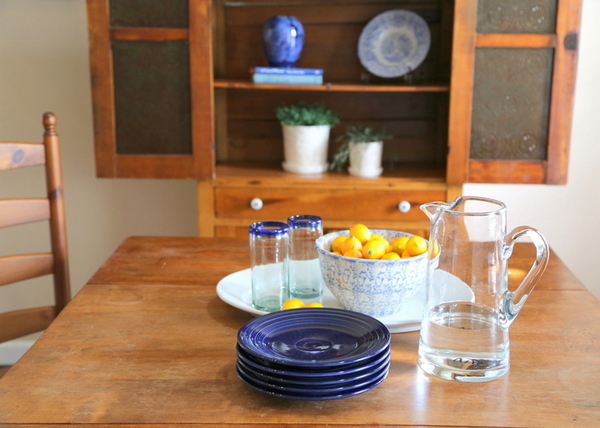 Great first impressions in home staging require photostyling skills. Because guess what? Those online photos are extremely important. 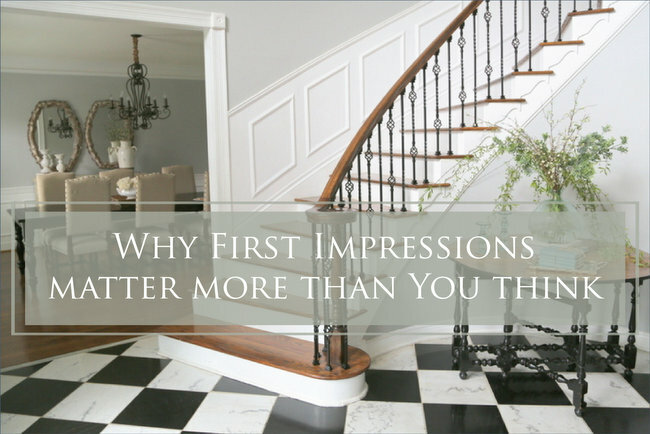 Talk about first impressions – if those online photos don’t draw you in, you aren’t likely to schedule a showing of a property. 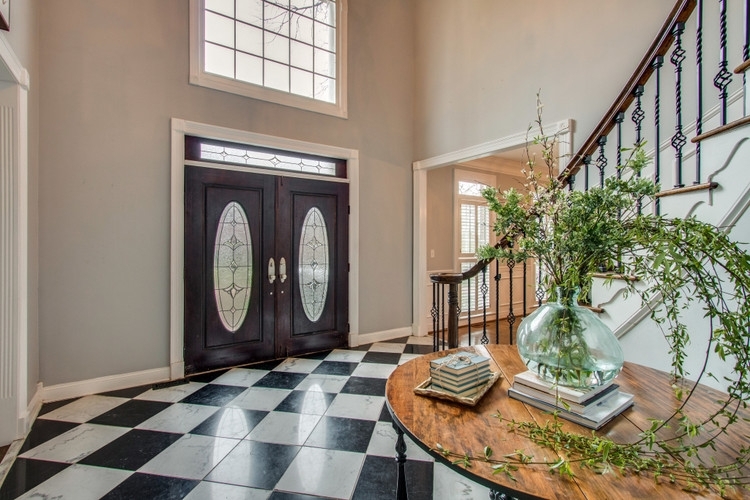 Ok, let’s take a look at the difference psychological staging can make in this home’s entry. Ready for a few before and after shots? You may notice a difference in the wall color. That’s the difference between a before shot with a cell phone camera and an after shot with a professional camera. 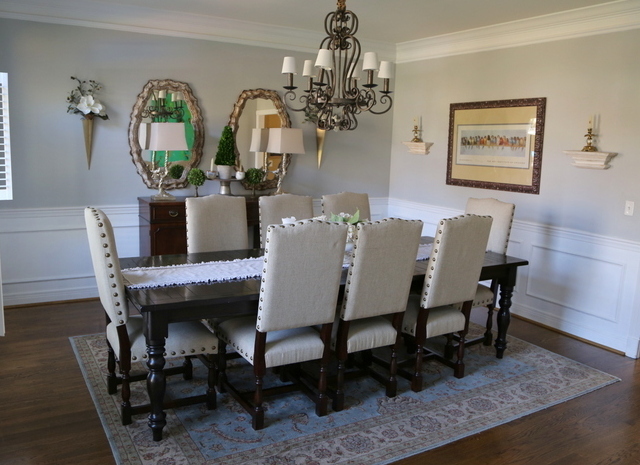 Cell phone photos shouldn’t be used for online listing photos! 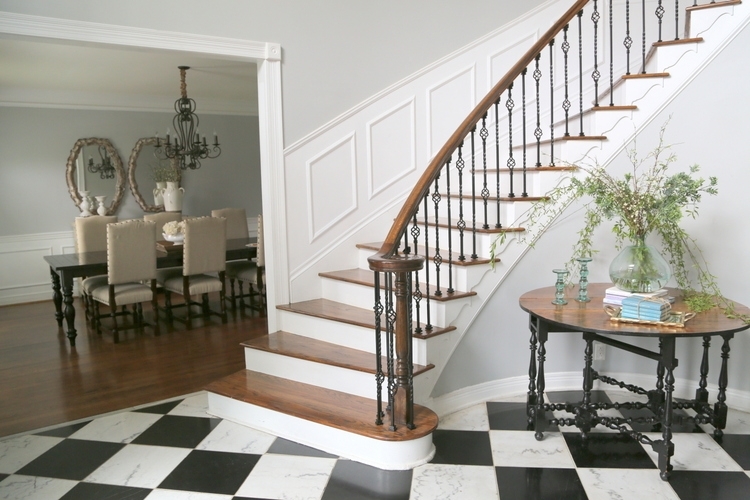 The dining room is to the left of the staircase and is also visible when you walk into the entry, making it an important part of the first impression. Think about what adjectives you might use to describe the photo above. Now think about what adjectives you might use to describe the photo below. 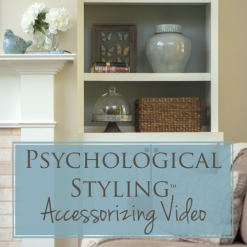 Actually verbalizing descriptive adjectives about a space can sometimes help you pinpoint possible first impressions in home staging. Now, how’s THIS for a first impression? It happens every time. I spend three days of intense study with a bunch of new people I don’t know from Adam, and I drive away Saturday afternoon in bittersweet sadness that it’s over! While I had one student from the Greater Nashville area, the others came from everywhere between Arizona and Florida. I always go home wishing they all lived in my city, because I know we would be great friends! Spending time with like-minded people with the same passion can have that effect on you, and that was certainly the case following my recent Expert Psychological Stager™ course. I just can’t say enough good things about this fabulous group of graduates! 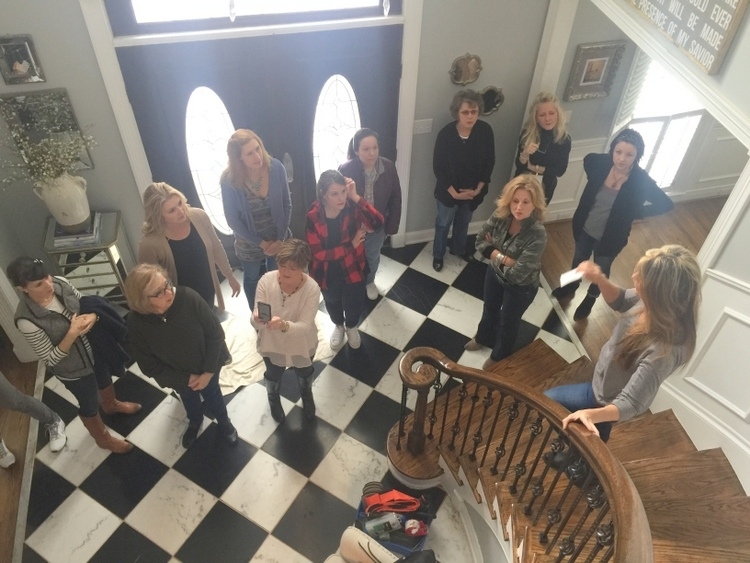 These ladies join an elite group of home stagers from across the country that have earned the Expert Psychological Stager™ designation, which is accredited by the Real Estate Staging Association®. Our next course is June 13-15, 2019. 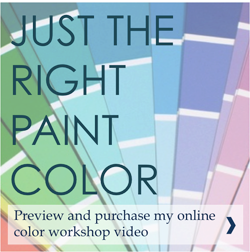 Nailing first impressions in home staging is just one of the many things I will teach you in this course. Sign up soon – spaces are already filling up! Find out more here and take advantage of our $100 off Early Bird Special if you register by April 15! 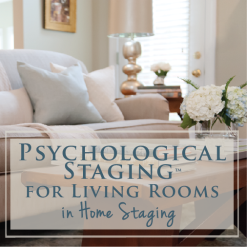 This entry was posted in Expert Psychological Stager™(EPS), Popular Posts and tagged entry, eps, expert-psychological-stager, first impressions, First Impressions In Home Staging, focal point, home staging, nashville, psychological staging, staging, staging-training, the decorologist. What a great post. 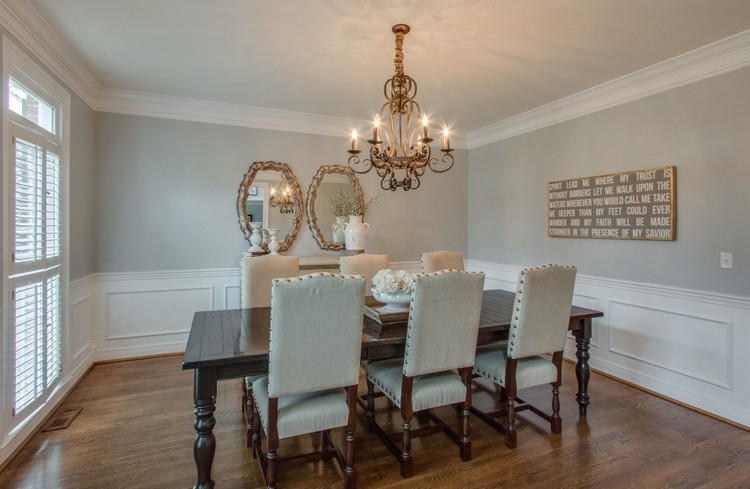 My area is so misinformed about home staging. 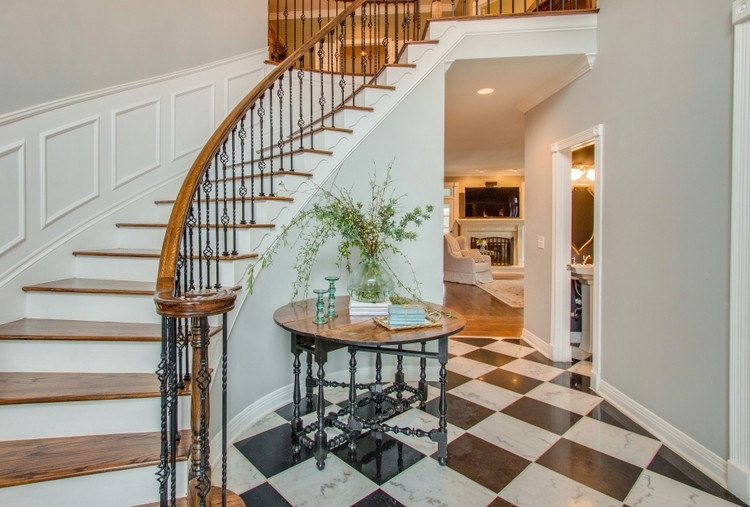 There is NO competition here, yet I do less than 10 stagings a year! Coupled with my decorating business, I thankfully have more work than I can handle. I hate letting this untapped group of realtors continue their habits, though. It drives me crazy! EPS certification is on my to do list. We’ve got a wedding to host this year, so I’m shooting for 2018! Keep up the great work, Kristie!! I’d love to have you join us, Gina! 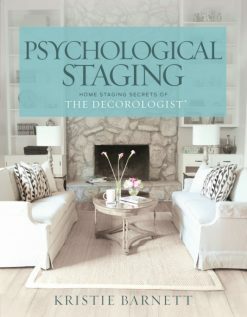 I honestly think that when there IS competition, that’s actually when home staging gets more attention. The more stagers educating the public and realtor, the better. Thank you for reading and commenting, dear! 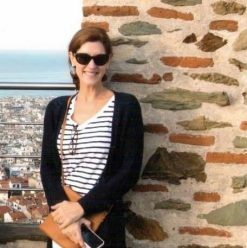 I have learned so much from following you over the past several years! I don’t sell homes or have any plans to trade in my medical career. But I sincerely enjoy each and every post which definitely helped when we decided to put our house on the market! Please let me mention the only thing would have kept in the foyer was that cute kitty!!! I’m guessing he/she wasn’t part of the inclusion for sale! For all your pet lovers out there! Thank you! 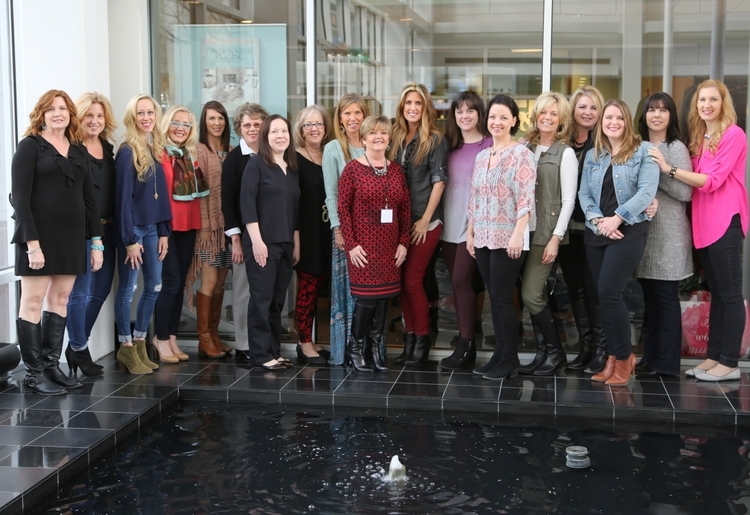 Had a great time with all the ladies at the Expert Psychological Staging Course and of course, learning from the best! It’s amazing what applying these principles can accomplish in making great first impressions. I was so glad to get to know you, Jenifer!!! I’ve missed you guys this week! Bring those girls to my house! Kristie, thank you for your reply and forgive my apathy but Congratulations to all your Graduates!!!! 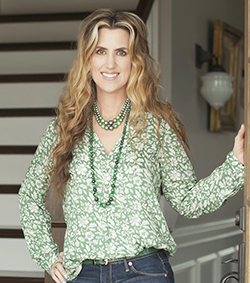 My realtor was astonished with my ability to stage by following your blog!!!! Just for fun, I would.love to attend your course!!!! It would be to great honor to meet you and share in your energy and passion!!!! As always! Blessings!!! Just stunning! I love the work of your latest grad class! Thank you, Cindy! They did great work! So amazing! 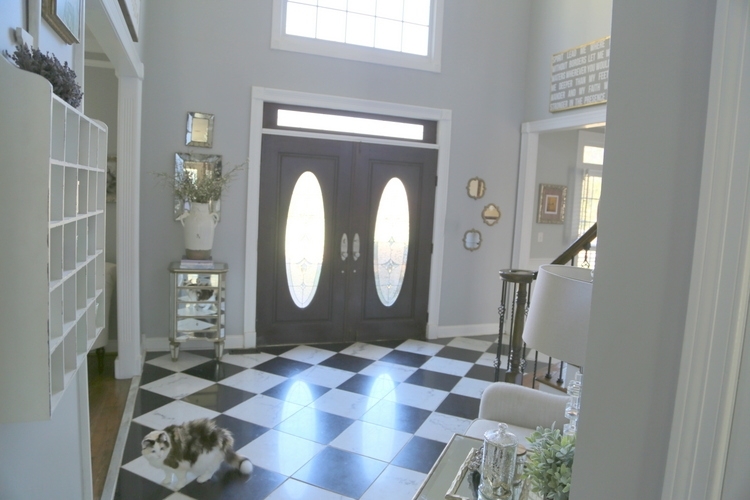 The entry way turned out fantastic. Can you recommend a good laminate to use and why is engineered wood recommended over laminate?